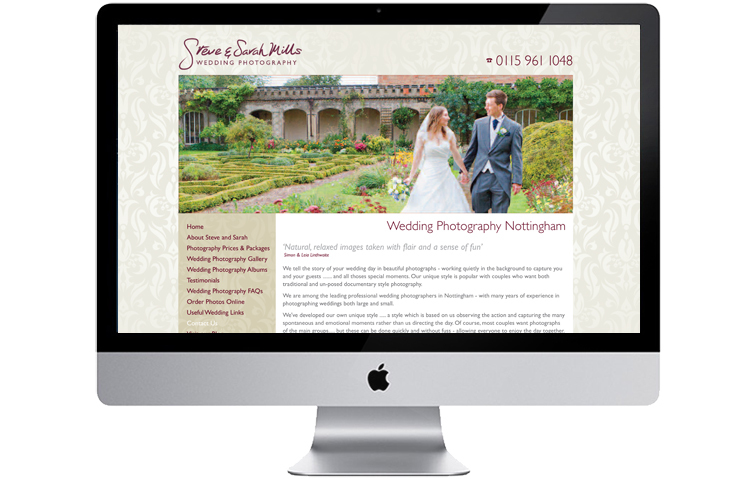 We were approached by Nottingham based wedding photographers, Steve and Sarah Mills to redesign their logo, stationery and create some promotional materials (leaflets and vouchers). 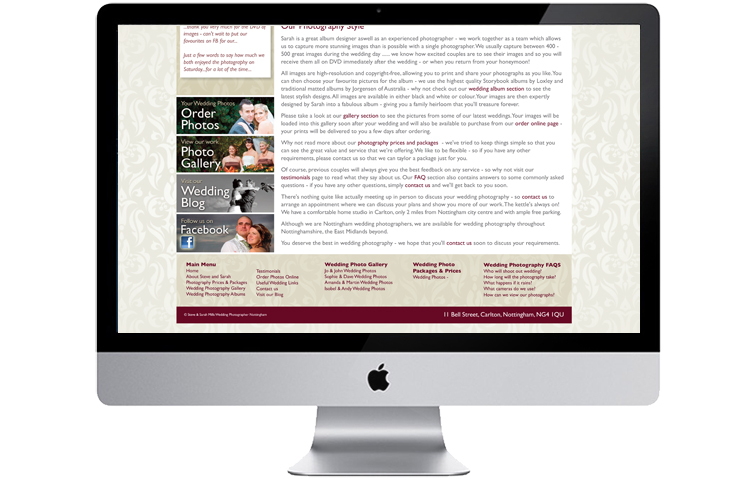 They were very pleased with our design work and asked us to work with their website developer on their photographers website design, updating it to follow our designs and requested that we get involved to improve the website navigation and customer experience. commercial photography website and marketing. If you would like to improve your website please call us on 01433 208307.